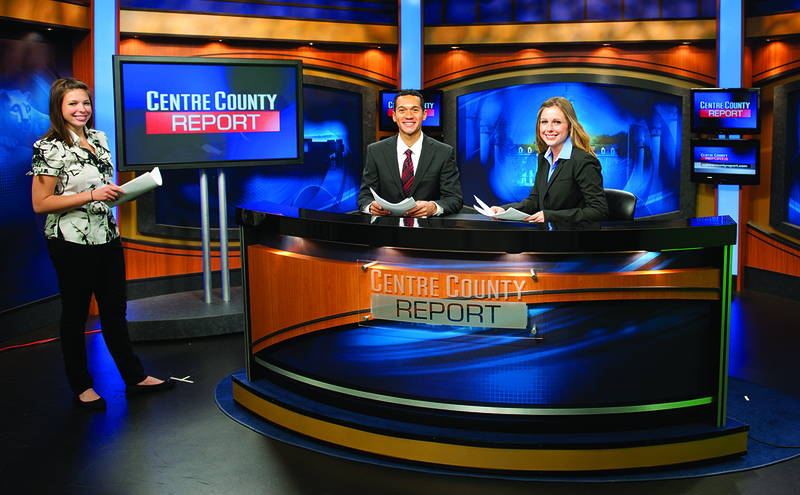 Under the auspices of CommMedia, students produce an award-winning weekly TV newscast ("Centre County Report"), a sports magazine TV show ("In the Game) and participate in numerous special endeavors and productions. The CommMedia site serves as an example of some of the best student work produced in broadcast and multimedia formats as students prepare for professional media-related careers. The state-of-the classroom and industry-standard newsroom at Innovation Park houses a high-definition television set for news and sports productions as well as a complete suite of equipment for video editing and encoding, photo editing, audio recording and video playback and capture in the TV studio control room. CommRadio, the student-driven online radio station that provides news, public affairs and sports programming, also operates under the CommRadio umbrella of activities.